Though Italians and international travelers alike traditionally think of Abruzzo as a remote, mountainous region, its eastern border is marked by vast sandy beaches stretching along the Adriatic Sea north and south of Pescara. They are exactly 133 kilometers of golden beaches, bays, and cliffs running along a sparkling coast lined with pine forests, dotted with towns, and backed by green hills. 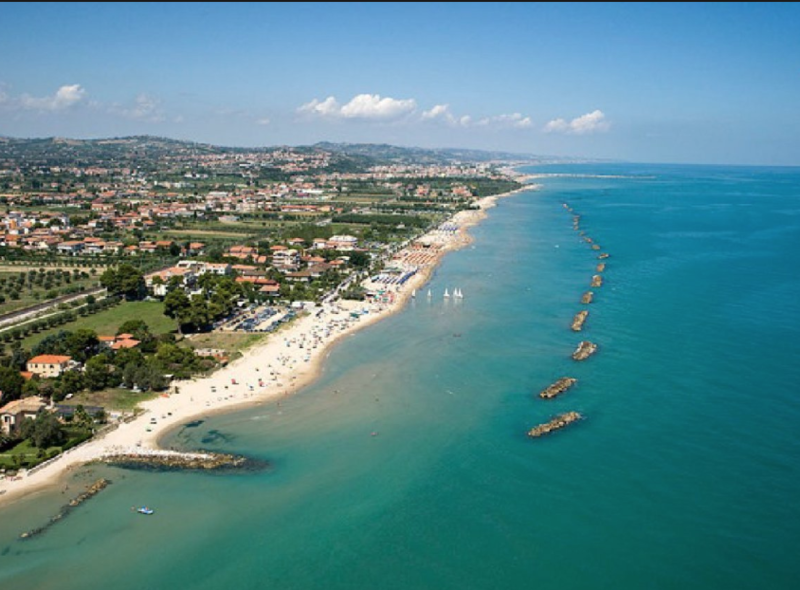 From the mouth of the Tronto River on the border with Marche, to the mouth of the Foro River just below Pescara, the coast is a succession of beautiful beaches graced by crystal clear water. 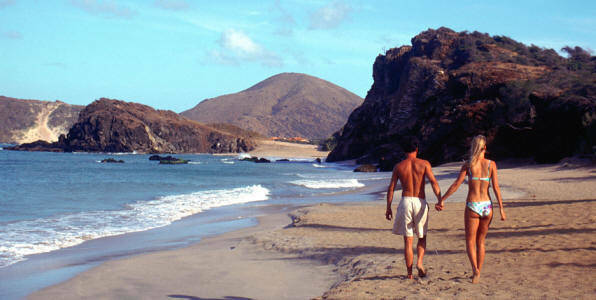 All coastal resorts offer windsurfing, canoeing, fishing, diving and other water sports. On the beaches, outdoor gyms, swimming pools, and water parks give visitors the chance to meet people and have fun in the warm sun. Many entertaining events, such as open-air markets, and craft and food festivals take place in or around these seaside villages, so there is always something to do. The province of Teramo boasts hundreds of hotels and beach establishments, but its best features are the warm shallow water of the sea and the beautiful vegetation. This area is considered ideal for children, as it is safe and fun, with many parks created just for kids. One of the most popular and well-loves seaside areas in the region is Roseto degli Abruzzi. 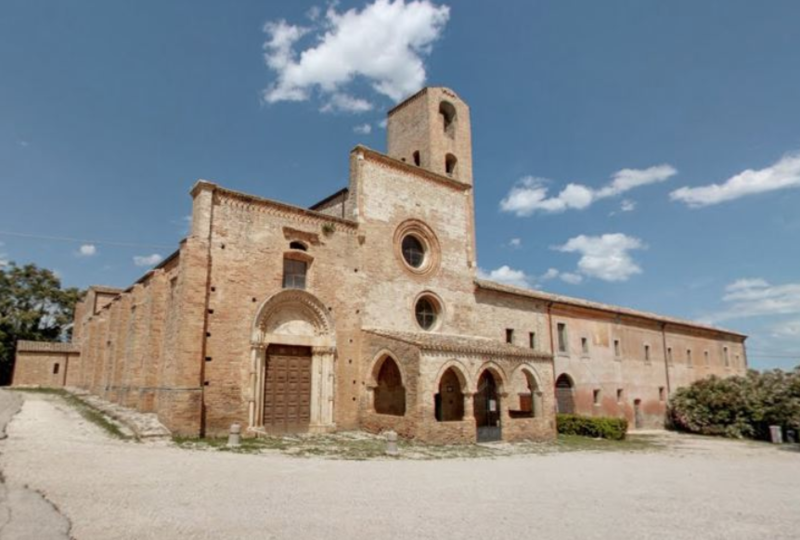 Set between the mouths of the Tordino and Volmano Rivers, it offers miles of golden sand and some interesting destinations, such as the medieval church of S. Maria di Propezzano. Old Pescara offers a nice day on the beach and a fun night in its taverns, wine bars, and restaurants. It is known as the home of the Dolce Vita, as it was the birthplace of Flaiano, the writer of Fellini’s famous work. On the Pescara coast there are many hotels, campsites, agriturismos, and other major facilities, such as sailing clubs. Linked to Pescara by a road that hugs the coast, Montesilvano Marina is one of the most popular beaches with the locals as it is easy to reach and is close to the city. Lying at the foot of the Atri hills, we find Silvi Marina, a busy beach resort close to Silvi Paese, a lovely town with a beautiful 14th century church. 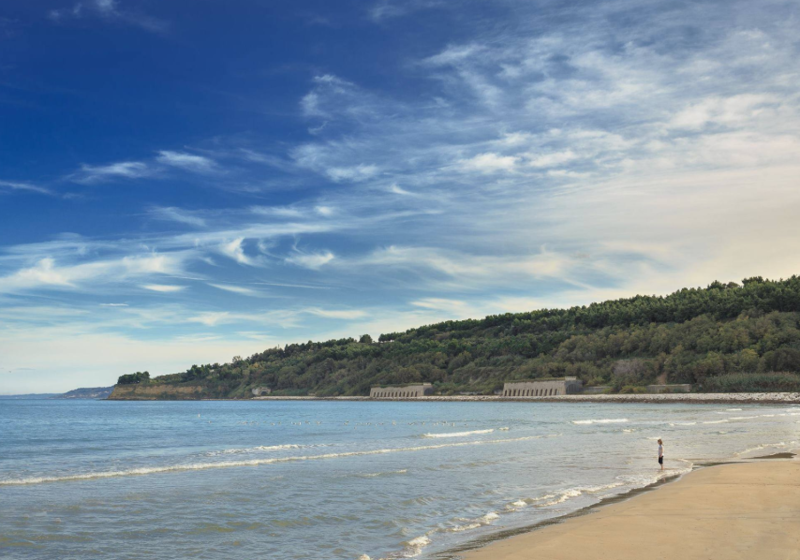 Famous for its history and for its historic monuments (the Aragonese castle is a must see), Ortona is one of the best-loved resorts on the Chieti coast. Its commercial port is the most important in Abruzzo and it can be seen from the Passeggiata Orientale (the promenade), an impressive scenic road. There are the wide, curved, sandy white beaches of Lido Riccio and of Lido Saraceni, and the rougher rocky stretches and amazing inlets that are ideal for canoeing. So many beautiful places to see, the list is endless. They are so close to each other that the best bet is to have a car and just drive around. Driving along one can see small towns that like precious jewels dot the spectacular countryside. 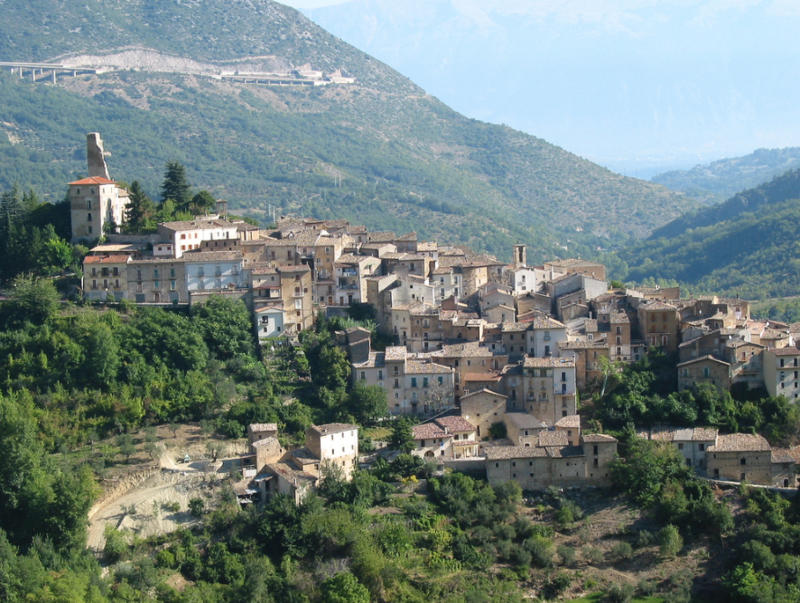 Abruzzo has been nominated the region with “the prettiest villages in Italy,” from Anversa degli Abruzzi, the village described by Gabriele d’Annunzio, to Carunchio, perched on a hill top like a mirage, to Guardiagrele, with its splendid Cathedral, and to Pacentro and its cave paintings. As we continue driving we arrive at the ski resorts, where the sun still reigns but the blue of the sea is substituted by the pure white of soft snow. The Gran Sasso, the Majella, Velino-Sirente, the mountains of the National Park, the Cinque Miglia plateau, the Carseolani, and the Simbruini Mountains form a dense network of ski resorts that are well equipped and cater to all the needs of snow lovers. Corno Grande, the highest peak of Gran Sasso and of the Apennine range, Campo Imperatore reigns as the highest ski resort in the region. Sculpted by an ancient glacier, Campo Imperatore is home to one of Italy's oldest ski resorts, which began commercial operation in the 1920s and continues to thrive. The considerable altitude ensures good snow for most of the winter and the location is ideal for cross-country skiing. 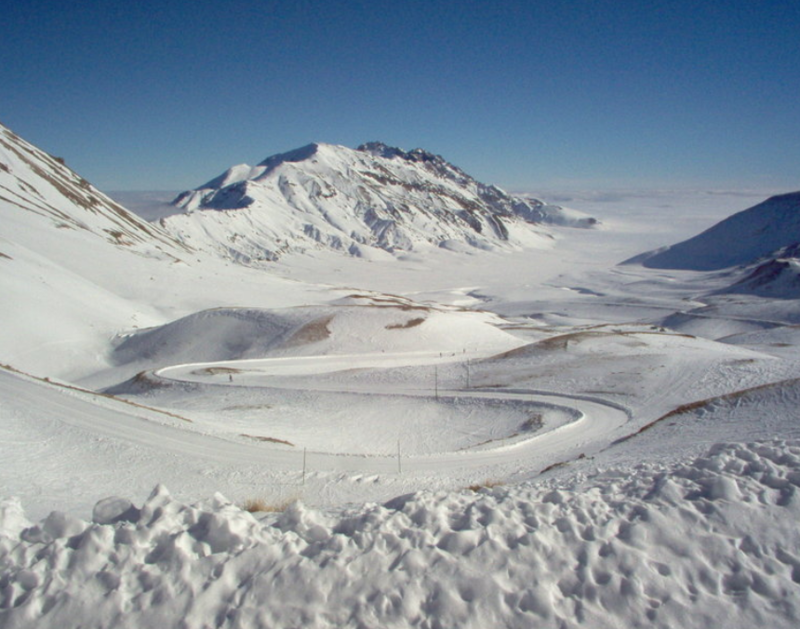 In addition, Campo Imperatore has been popular with filmmakers, a location used in more than twenty major films, among them The Name of the Rose, starring Sean Connery. Right below, there is the Monte Cristo basin, equally beautiful and fun for snow sports. 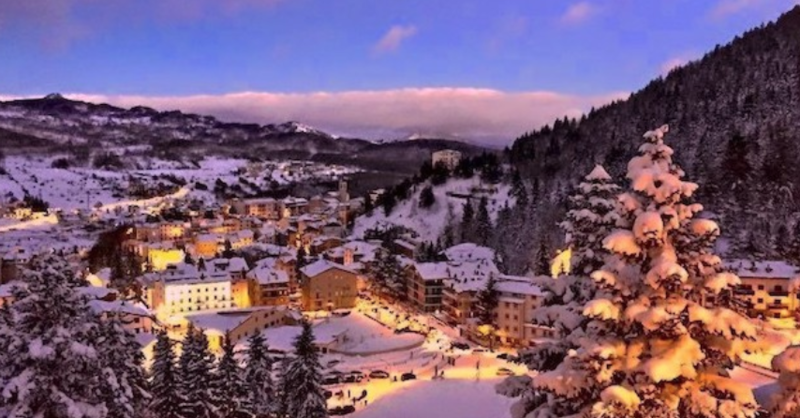 In the province of L’Aquila stands Abruzzo’s most famous resort, Roccaraso. After the extensive destruction in WWII bombings, the small center is today completely modern, except for the district called Terra Vecchia (the ancient fortified borough). 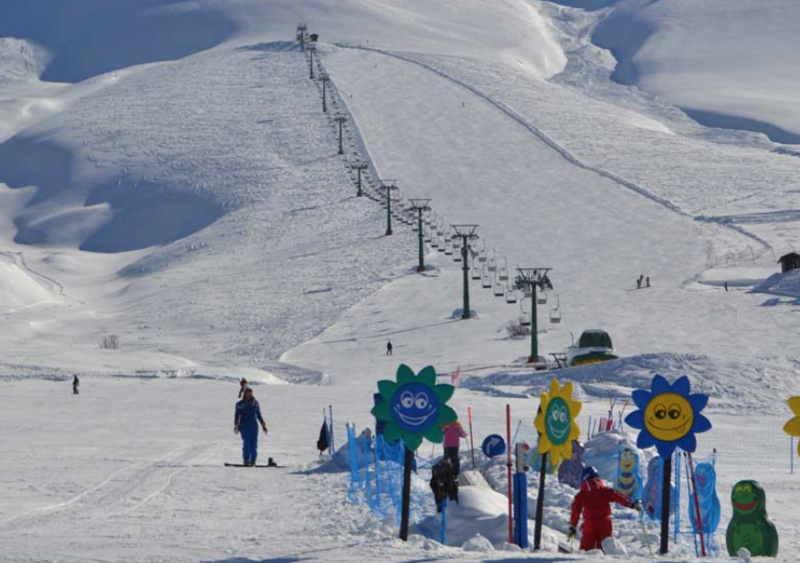 The whole ski area offers many miles of slopes of varying difficulty, and modern sports facilities. The flatter areas have challenging cross-country routes. At the foot of the western slope of the Majella, the lifts of Campo Giove go up to the Tavola Rotonda, the highest point in Abruzzo reachable by mechanical means. Furthermore, there are smaller skiing destinations, hundreds of routes, possible excursions, and endless possibilities of fun. No matter what, all over Abruzzo, at the seaside, in the mountains, in the hills and even beyond the protected areas, nature is always the protagonist. The sandy shores of the north coast contrast with the rocks and cliffs along the southern coast, while the unbroken rows of nearby hills conceal holiday farm centers and art towns full of authentic masterpieces. All of this is protected by its mountains, the highest summits of Apennines.